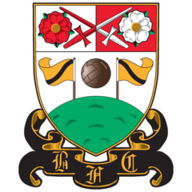 Highlights of the Sky Bet League Two clash between Mansfield and Barnet. 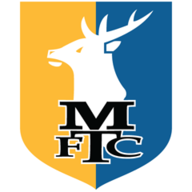 In-form Mansfield made it nine games unbeaten with a comfortable 3-1 home win over bottom club Barnet. Alex MacDonald, Will Atkinson and Danny Rose saw the Stags home with plenty to spare, with Simeon Akinola grabbing a late consolation. After a scrappy opening 15 minutes, Mansfield took a grip. MacDonald clipped the outside of the right-hand upright after 16 minutes, Kane Hemmings put a shot wide and then saw goalkeeper Craig Ross block another with his legs a minute later. But in the 42nd minute Joel Byrom and Mal Benning worked a neat series of passes with MacDonald on the left of the box before the latter curled a superb finish in off the far post. MacDonald somehow fired wide from five yards early in the second half, but in the 55th minute Hemmings headed a Byrom corner goalwards and Atkinson helped it over the line. After Hemmings had inexplicably headed wide from four yards after 67 minutes, Rose made it 3-0 three minutes later with a deadly finish from CJ Hamilton's low cross. Akinola pulled one back three minutes from time when he pounced after a Rhys Bennett header failed to reach his keeper.